A set of 3 fearsome pirates. 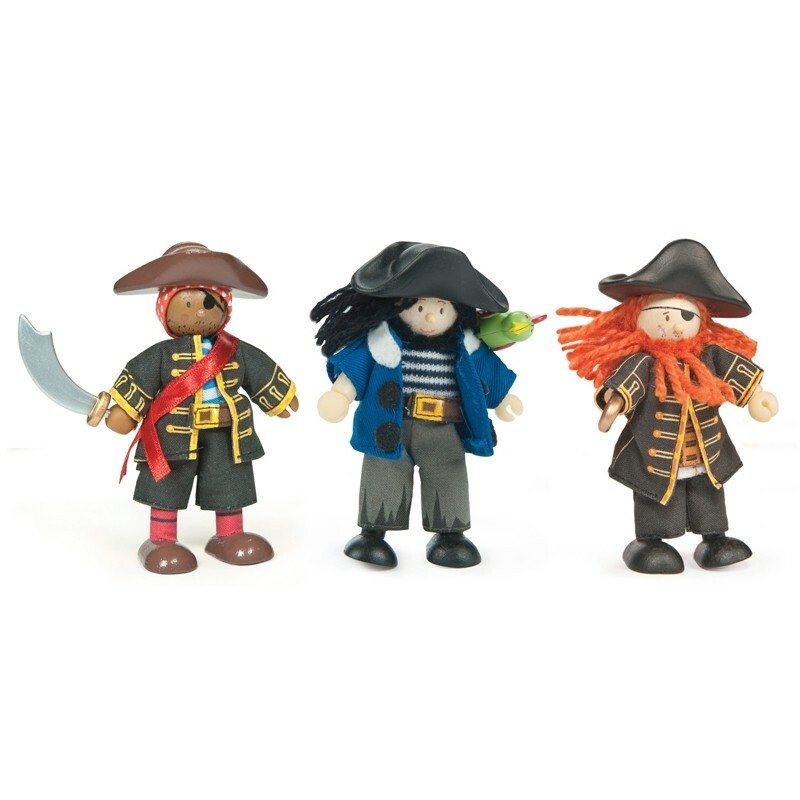 The set includes Pirates Barbarossa, Jolly & Raphael. 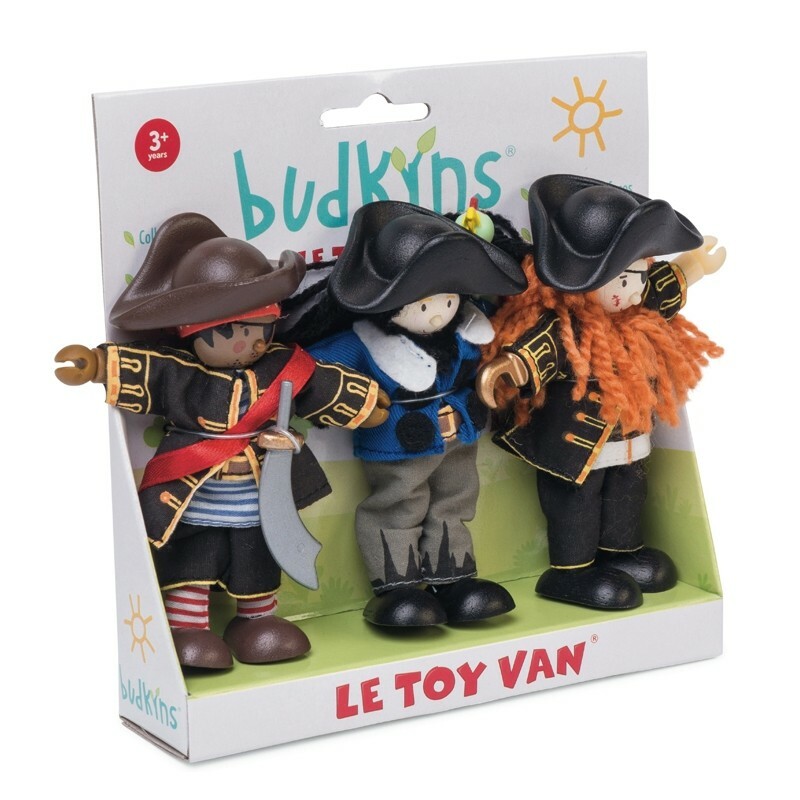 An ideal complement to the Le Toy Van pirate playsets.